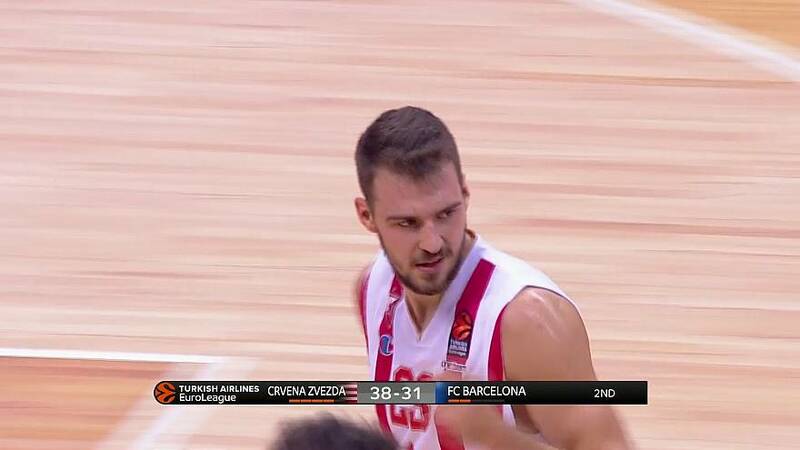 Crvena Zvezda from Belgrade improved to 2 wins and one defeat in the new Euroleague season following a solid eleven-point victory over 2010 champions FC Barcelona on Wednesday. Marko Guduric shined for the home side at the Kombank Arena in the Serbian capital and produced a near flawless display. He ended the night with a career-high 21 points, while Marko Simonovic added 13 points and Milko Bjelica chipped in with 12pts to help Crvena win through 76-65. Elsewhere, Xavi Pascual enjoyed a winning start to his reign as Panathinaikos head coach as his men beat Brose Bamberg in a thrilling contest in Germany. Pascual arrived at the club this week just days after Argyris Pedoulakis resigned following a poor run of results. The 2010 championship-winning coach with Barcelona had a stern opening test at the helm of Pana. It was a closely-fought contest throughout but an 11 point run by the visitors late in the fourth sealed the victory. KC Rivers hit a game-high 19 points including a match-winning two pointer at the death. The Greeks celebrated an 84-83 victory which lifted them to the top half of the table with two wins and one defeat.